Check smoke detectors: Check your home’s smoke detectors to make sure they’re working properly, including the batteries. Check for leaks: Take some time to check for leaks around toilets, under sinks and around the dishwasher and address any issues you find. Inspect air conditioner and furnace: Summertime is prime air conditioning use. Make sure your air conditioner is ready by cleaning or replacing the filter replace air conditioner filter. Have a licensed HVAC technician inspect your system as well. Check the Temperature Pressure Release (TPR) valve on the water heater: Check for leaks and test the TPR valve to make sure it’s working properly. Check the roof: Make it a habit to regularly inspect your roof for broken or missing shingles and remove any debris or leaves. This will allow you to catch any potential issues before they become expensive headaches. Inspect and clean your home’s exterior: Walk around your home and check the windows and siding to make sure everything is tightly sealed and clean. If your home’s siding could use some cleaning, you can use mild soap and water, a brush and a garden hose to clean it yourself or hire a professional to pressure wash the siding. 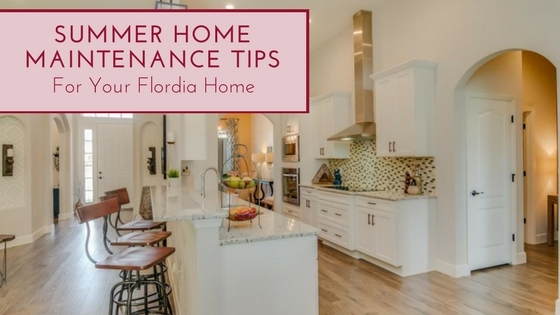 Check out our home maintenance guide on our website to review other maintenance tasks you should be doing to keep your Southern Home in top condition, submit a service request or see what’s covered under our warranty.